Seen the Top End in the Dry Season? Now see it in the Wet! We're privileged to witness some of the most spectacular storms. Here is a round-up of jaw-dropping photos from Top End travellers to show you why we love the wet season (and why you should too!). #6: A peek across the Darwin harbour from Wagait Beach just before a tropical storm in the afternoon ☔️ thanks to @snapperartsy! #10: Our stormy wet season sunsets are something all nature lovers need to experience and @nath_lew captures them beautifully! #11: The first line of showers were just popping around the corner as the sun set, lighting up beautifully with a pretty pink glow for @snapperartsy. #12: @snapperartsy caught this sunset casting a glorious golden glow over the harbour. As the light faded crawler lightning lit up the sky. 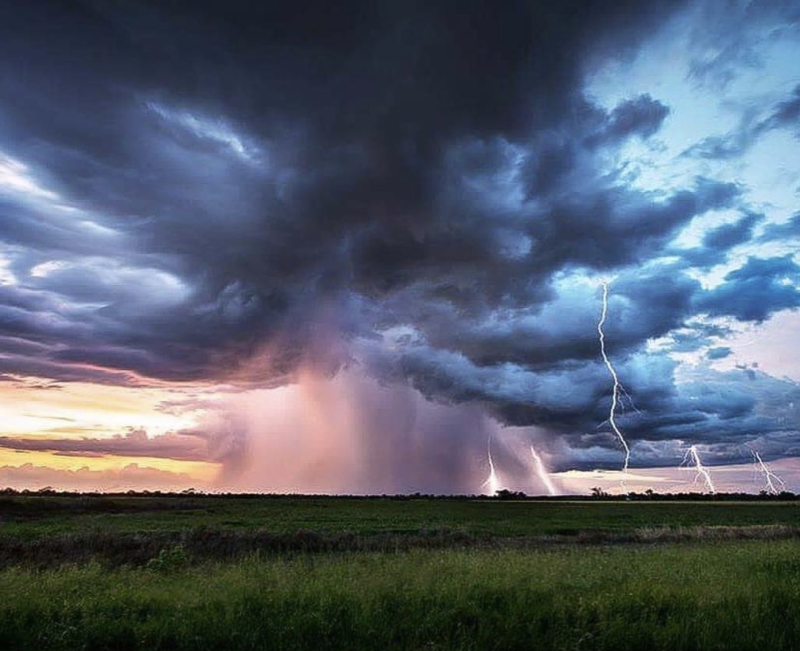 A heart pumper of a storm breaking over the Wildman River in the Northern Territory's Top End. #19: @mkh_visualaspect had a great view over the city as a storm rolls in. Do you have some cracker wet season photos to add to this list?